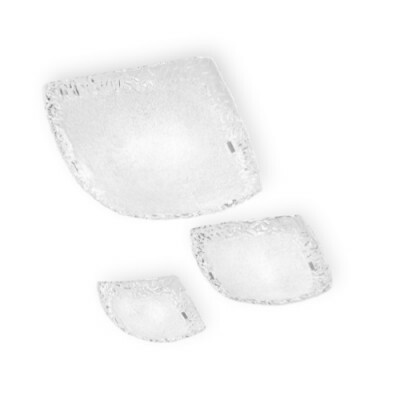 Artistic glass - The image refers to the same article in another finish. The box shows the effective finish. 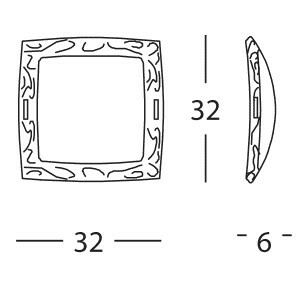 Medium-sized Syberia wall or ceiling light measuring 32 x 32 cm. Metal frame with brushed nickel finishings, crystal diffuser with amber details. 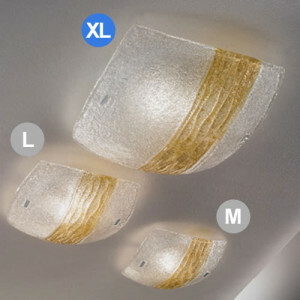 Medium-sized Syberia wall or ceiling lamp measuring 32 x 20 cm. Metal frame with brushed nickel finishings, crystal diffuser with amber details. 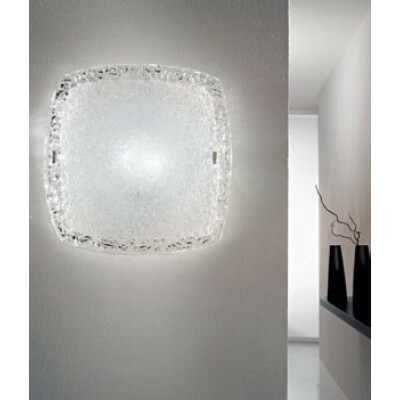 Large-sized Syberia wall or ceiling light measuring 38 x 38 cm. Metal frame with brushed nickel finishings, crystal diffuser with amber details, two 11 watt CFL bulbs. 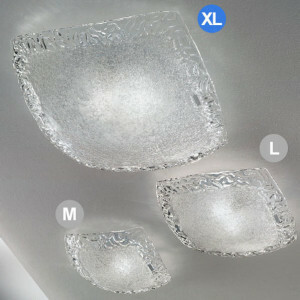 XL-sized Syberia wall or ceiling light measuring 50 x 50 cm. Metal frame with brushed nickel finishings, crystal diffuser, two 11 watt CFL bulbs. Modern wall light from the Syberia product line, with amber details, measuring 32 x 20 cm. 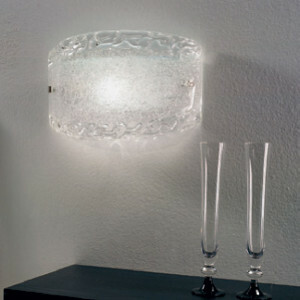 Lighting fixture for wall mounting with a crystal and art glass diffuser, a metal frame and nickel finishings. 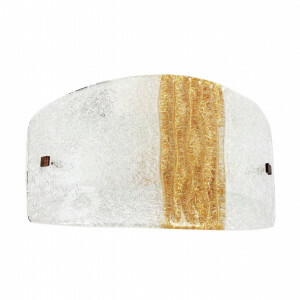 Wall or ceiling light from the Syberia product line, with amber details, measuring 32 x 32 cm. 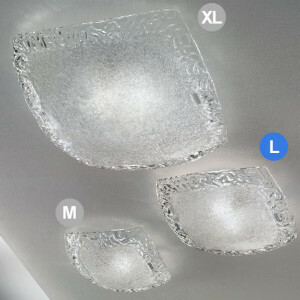 Lighting fixture for wall or ceiling mounting with a crystal and art glass diffuser, a metal frame and nickel finishings. Refined design Syberia wall or ceiling light with amber details, measuring 38 x 38 cm. 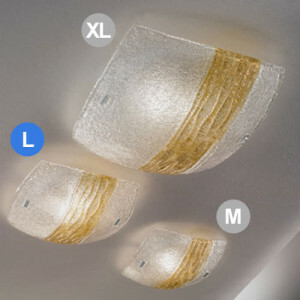 Lighting fixture for wall or ceiling mounting with a crystal and art glass diffuser, a metal frame and nickel finishings. Syberia wall or ceiling light with amber details, measuring 50 x 50 cm. 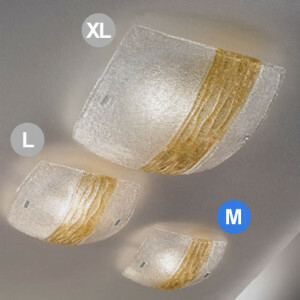 Lighting fixture for wall or ceiling mounting with a crystal and art glass diffuser, a metal frame and nickel finishings.